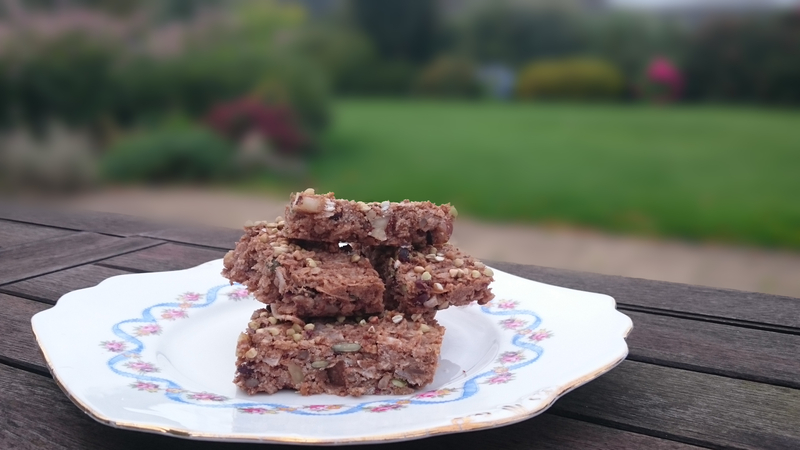 I created this recipe for gluten & sugar free cereal bars because one of my pet hates is when I see people in the supermarket buying granola cereal bars thinking that they are being healthy. I have to stop myself from telling them that they are being lied to and grabbing the pack off them just to save them the pain and money! My problem is with the marketing, duping the consumer into thinking that they are a “healthy” option for those on a health kick or trying to lose weight. So, what is the problem? SUGAR is the problem! There can be as much as 18g of sugar or more in a cereal bar. 1 teaspoon of sugar is equal to 4g, so please check the labels! World Health Organisation WHO, recommends an upper safe limit of approx 24g in a day or 6 teaspoons. 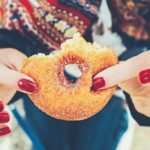 Excess hidden sugars can lead to cravings (see my previous post on cravings and what causes them here), obesity, diabetes, headaches and irritability to name just a few! So, I have been experimenting! 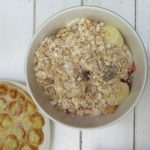 I love the handiness of cereal bars, but I do not want all the sugar, whether it is in the form of honey, maple syrup or dried fruits (yes, even dried fruit is full of sugar!). Now, most important to understand here is that I am NOT a chef!!!! I am a mammy who is busy, wants a healthy option that is quick, tasty and portable. I started with throwing things that I like in a bowl and the following recipe is the result! 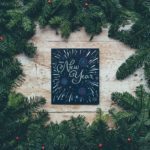 I like them….actually I love them and my kids like them (but they love shop bought better, as they are sweeter!). So, give them a go, change them or bin them, but I would like to know how you get on with them. If I get feedback then I know what recipes people like so I can create more! They are quite dense and a small bar is a great snack with a cuppa, or maybe 2 or 3 for a portable breakfast. The recipe will make about 24 bars, and they freeze really well, so store them in sandwich bags in the freezer and take out a few at a time or pop them straight from freezer into kids lunch box and they should be defrosted by lunch! 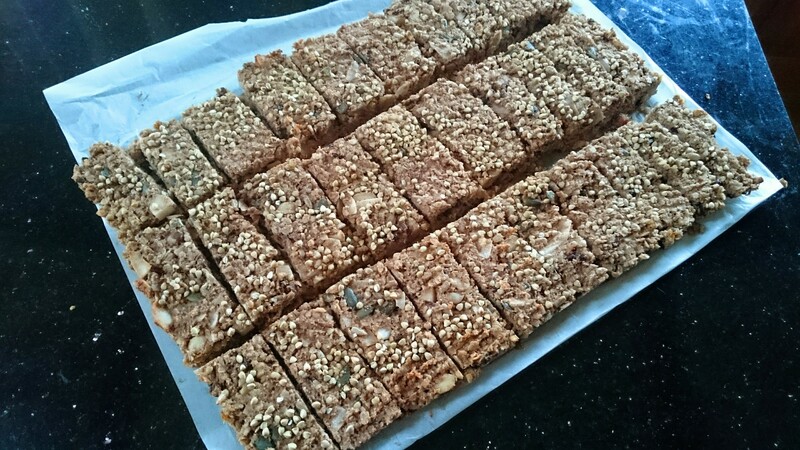 These bars can also be made using ordinary porridge oats if you are not gluten free!